HubSpot Research found that growing businesses are more likely to prioritize customer success than those with stagnant or decreasing revenue. Successful customers can become your best salespeople, as well; our research shows that 77% of people have shared positive experiences with companies in the past year. Furthermore, keeping your current customers happy is good business in the long term. Common business wisdom tells you that acquiring customers is 5 to 25 times more expensive than keeping current customers. A bad customer experience or bad customer service is also a leading indicator of customer churn (which is massively detrimental to growth). In our 2018 State of Inbound report, 61% of respondents noted "generating traffic and leads" as their number one marketing challenge, which can probably be tied back to another problem: They’re also struggling to keep their existing customers. A business simply can’t grow sustainably if it has a churn problem, and we can find early red flags of churn by gauging customer satisfaction (and working to improve it over time). more expensive than keeping current customers. of growing businesses rate customer success as "very important"
In an attempt to demystify customer satisfaction and make the measurement actionable for businesses of any size and type, we wrote a comprehensive guide that ranges from customer satisfaction definitions all the way to tools and tricks to make sure you’re gathering data correctly and actually using it to grow your business. Without further ado, let’s dive in. Feel free to read it from start to finish, or skip around to sections that are most applicable to you. Customer satisfaction a measurement we use to quantify the degree to which a customer is satisfied with a product, service, or experience. It measures how a customer feels about a brand interaction. Many terms in business are nebulous and vague. Customer satisfaction is one of those terms. 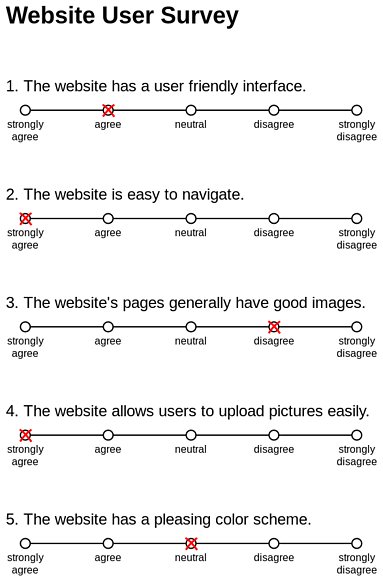 In practice, this could be executed using many different survey design tactics, such as differing questions, survey response scales, and collection methods. Sometimes, we collect these measures right after a transaction or other times at a fixed date in the customer relationship. Sometimes we use a five-point Likert scale, and sometimes we use a Net Promoter Score® (NPS®) survey. The argument is that we should aim for delight. We’ll ignore arguments of semantics in this guide, but it’s important to note that the focus generally shouldn’t be on providing an average experience, but rather, on creating raving promoters for your business. Still, measuring customer satisfaction can help us do this (no matter what we call the metric). If you don’t measure customer satisfaction, you can’t identify unhappy customers. If you don’t know who is unhappy, you don’t know who will churn, and you can't figure out why they're unhappy. If people churn faster than you can acquire new customers, your business will fail. Without contact or feedback from the customer, we isolate ourselves in a sort of bubble. The truth is, however, that even the best, most innovative, top-performing businesses all have faults and opportunity areas. These companies are elite because they measure things like customer satisfaction and act upon the data. If you’re open to the idea that you could improve, it’s worth spending the little bit of time it takes to set up measurement solutions and to collect the data. What’s the harm? You might find problem areas that are worth massive amounts in terms of ROI. That’s the general truth about measuring and data. Specifically, though, what’s the importance of customer satisfaction to business health? Customer retention is arguably the most important factor in long-term business growth. You can acquire customers as rapidly as you’d like, but if they aren’t sticking around, you don’t have a sustainable business. Retention affects every part of a business, from the customer acquisition cost to the customer lifetime value to word of mouth and customer loyalty. In fact, the ratio of these metrics (CAC/LTV) is important, too: You can spend more money to acquire customers if they retain for longer and are worth more. It’s one business lever that truly impacts every other. A repeat customer spends 67% more than a new customer. Okay, we’ve established that customer satisfaction matters and that you should measure it. Now the question is: How? Every method of collecting data on customer satisfaction comes down to a customer survey. With digital analytics, we can determine if users are researching a goal, how they are interacting with a feature, or even their relative struggle completing a given task. But we can’t gauge their emotional response to any of that. That’s the secret. Measuring customer satisfaction gives you a peek at your customers’ emotional responses. If we simply judge customer experience on conversion rates and goals completed, the DMV would score very high — much higher than something with higher funnel drop-off, like, say, buying a Tesla. Luckily, most businesses know not to measure things so myopically. We look at data in the right context and with a blend of attitudinal and behavioral data. When it comes to optimizing for customer experience and improving customer satisfaction, that’s the way to go. Surveys: When do you send them? To whom do you send them? These are great questions — and it depends on what you want to answer. Most often, with a customer satisfaction survey, you’re looking to answer a very specific question such as, “How did the customer feel about this specific situation?” This situation is usually transactional, such as buying a pair of socks or getting an oil change. In this case, you’re best off sending the survey as soon as you can. The longer the delay, the more likely it is that your data will be skewed. The memory does strange things, especially when it comes to emotions and experiences. 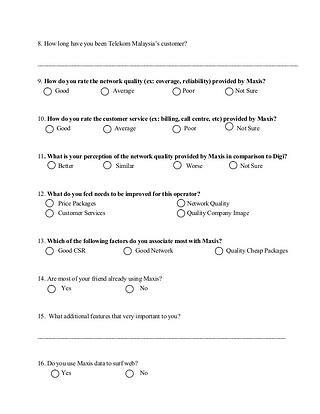 If you want a true reflection of the customer’s experience, send the survey ASAP. Sometimes, however, we want to learn if there has been a longitudinal change in customer satisfaction, either on an individual or aggregate level ... basically, have we improved or not over time? In this case, you just need to control for time and make sure that all surveys are being sent to users in a similar time interval (immediately, six months after purchase, two years after purchase, etc.). This allows you to analyze users in cohorts to determine differences in customer satisfaction scores over time. Who should fill out customer satisfaction surveys? Ideally, every customer that has an experience with your business. Wherever you can bake in an effortless customer satisfaction survey, I would do so (barring an annoying user experience, of course). In some cases, you’ll want to isolate certain groups of customers to do more in-depth surveys. In this case, again, it depends on the answers you’re looking for. If, for instance, you want to find out what it is your best customers love about your business, you would isolate customers with that cluster of characteristics and survey them. Same goes for any group of customers from which you’d like to get insights. What does a customer satisfaction survey look like? What kind of questions do you ask? How do you determine a customer satisfaction score? These questions are tough to answer in a broad sense because there are many different schools of thought and they are constantly evolving. To a certain extent, you also need to customize the survey itself to your business goals. What do you want to know? Which questions (and their scores) can be used as leading indicators of growth or churn? 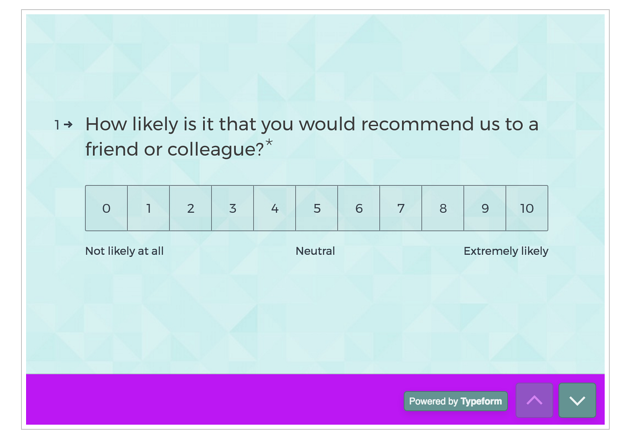 ... and a nice looking and simple NPS survey using a tool like Typeform. I’m personally a fan of simpler solutions, as they tend to be more understandable and actionable for the business, so NPS wins for me. But that doesn’t mean it’s perfect for your situation. You can customize things to your own use case. 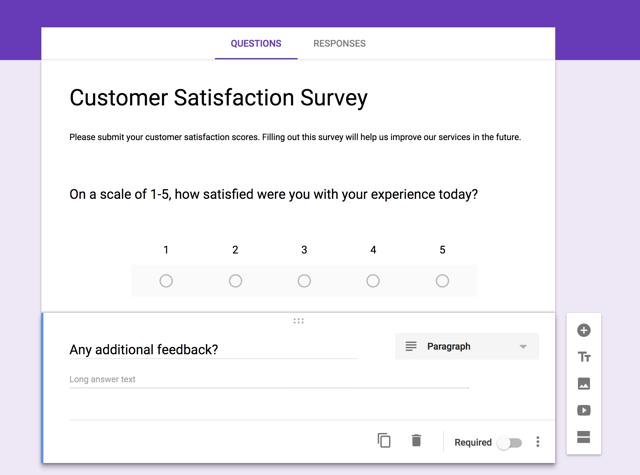 Here's a nice simple customer satisfaction survey example using Google Forms. To inspire you or give you some ideas, here are some potential questions to measure customer satisfaction (all using some sort of ordinal scale). How would you rate [Company] overall? How responsive have we been to your questions about our products? How likely are you to purchase our products again? How would you describe your experience/our company in three words? Why did you purchase from us today? Was there anything you would improve about your experience? I briefly mentioned that these are usually measured using “ordinal scales.” Without getting too into the weeds, this essentially means you’re measuring your customers’ responses on a scale, usually on a scale of 1 to 5 (such as the commonly used Likert Scale) or 1 to 7. I’m going to save you the trouble here (because there is a lot of boring academic debate over which method is best) and say that it’s more important that you simply choose a method and stick with it. Change over time is more important than what the number is. I’ll finish this section off by mentioning a very popular type of customer satisfaction (and loyalty) survey called Net Promoter Score®, or NPS®. 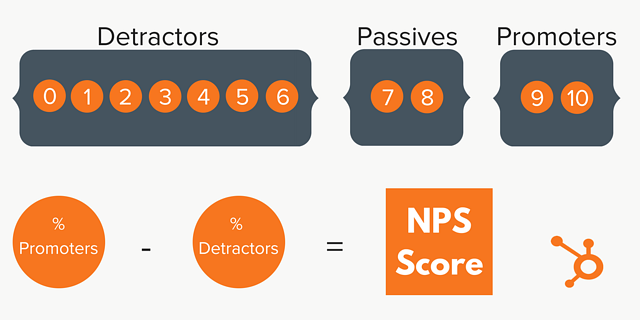 Calculate your Net Promoter Score by subtracting the percentage of Detractors from the percentage of Promoters. NPS is quite popular right now, especially in quickly growing companies. We use it regularly at HubSpot to track our customers' and employees' happiness. It’s a simple metric that you can use to rally your team around to improve customer satisfaction and retention. In truth, I like the simplicity and actionability of the NPS. I also like that you usually add a follow up open-ended question, such as “What’s the reason for your rating?” to couple your quantitative measurement with some qualitative insight. Another benefit of NPS is that it can be benchmarked against others in your industry to truly understand where you stand with regards to customer satisfaction. Rallying your company to focus on NPS, a customer satisfaction metric, will help you create a culture of customer-centricity and improve this score with time. In summary, there are many different ways of measuring customer satisfaction, but what’s important is that you can measure changes over time and that you can actually use the data to improve the customer experience. If your method is too complicated for your organization to rally behind, it won’t be useful. That’s the power of a single question like NPS. However, there are some guiding principles and evidence-based tactics that can get you some quick wins. Hopefully, they’ll get you started on the path to an improved customer experience. 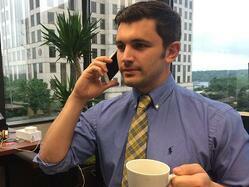 This one is table stakes: Make it easier for your customers to complain. If your customers can’t give you feedback or complain to you directly, they’ll do so on social media or to their friends. They’ll be doubly frustrated — first with their poor experience, and second with their lack of an outlet to fix their poor experience. This means investing in customer feedback tools and customer support. Often, if you have a well-placed mechanism to catch customer feedback and respond in real time, you can prevent a user from becoming a detractor in the first place. If you can react quickly, you can turn the situation into a positive one. “Don’t let customers get to the point where they’ll be a detractor in the first place; you do this by understanding their Desired Outcome and operationalizing around ensuring they achieve that — also known as Customer Success. Make sure you give the customer other places to provide feedback ad hoc: feature requests, bug reports, open support tickets, chat with your team, etc. Don’t let the NPS survey be the only way — or the only time — they can give feedback to you. Continually remind them that those other feedback modalities are there for them to use. There are many ways you can do this. One way is with live chat. This technology is rapidly improving in its scalability and targeting capability, as well as reporting. Another way is with feedback forms, such as those that companies like Usabilla offer. “Most unhappy customers don’t take the time to complain, they just quit doing business with you. But guess what: They didn’t say anything to do, but they definitely telling all their friends. The experts say, the average upset customer tells nine people. "So many customers WANT to help their favorite businesses improve, but they are obstructed at every turn by companies who give them transparently bad survey questions, insulting incentives, ask the wrong questions, ask when it’s too late or when memories have faded or make it a painful process to answer. Companies always use the “autopsy approach” to customer satisfaction: wait until the event is over to figure out what went wrong. Customers should be asked questions while it still matters to them and while their feedback could still make a difference. The only incentives that matter to customers are answering their questions: (1) was my voice heard? (2) did what I say make a difference? and (3) how do I compare to others? Instead, companies annoy and insult customers by offering them some unknown (but probably minuscule) chance of winning some generic gift. Companies still think it’s 1999. Telling customers to “please take your time to help us improve our products and services” didn’t work 20 years ago and certainly doesn’t work today with savvy customers. With attention at a premium, companies have to stop focusing on self-centered rationales to fill out surveys and instead give customers internal incentives. “Representativeness” is critical and few companies consider this. Getting responses from 3% or even 10% of customers is meaningless if you don’t know what the “silent middle” is saying. Companies take action on the misleading results from a non-representative portion of their audience because it’s all the data they have. That’s one reason there are so many mediocre companies." All customer questions should be readily answerable, either manually, within your interface, or with documentation. It’s incredibly frustrating when you can’t find an answer to a question or concern while using a product or browsing a website. How many times have you experienced that and tried, to no avail, to find a live chat or some way to get an answer? It’s far too common. First, and no matter what, conduct user experience (UX) research. If you simply run a few user tests and watch some session replays (using a tool like HotJar), you’ll find tons of UX problems that you never would have noticed otherwise. It’s both alarming and insightful, but it’s inarguably useful. From there, you should have a solid list of low-hanging fruit that you can prioritize and fix. Second, look into smarter content and documentation. 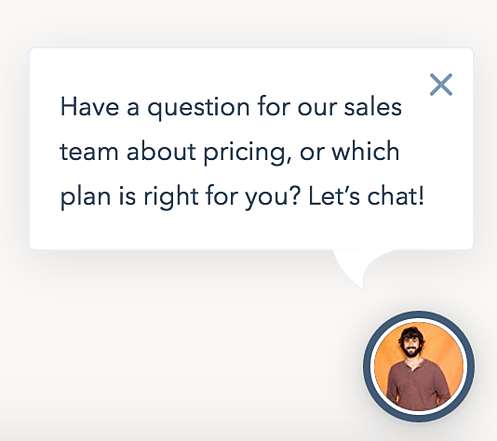 When you’re fielding support inquiries — or really, any customer touchpoint — make sure you’re writing down, categorizing, and quantifying common questions and complaints (and where they occur). This data will be your building ground for a solid help documentation plan. Where are users struggling and with what? How can you answer that with content in real time so users don’t even need to reach out to you? We do this here at HubSpot with user guides in our HubSpot Academy knowledge base. Finally, look into smarter customer support options. In addition to displaying your contact information prominently, live chat is increasingly a necessary site element to have. It’s expected of most businesses nowadays to have live chat software. The stats are undeniable. 44% of people said that having live chat available while shopping online was one of the most important features a company can offer. The research pretty much all confirms that live chat is the most preferred form of customer service, and that expectation is only growing. Then there’s a whole new emerging field of chatbots and artificial intelligence solutions. Read about what we’re doing with chatbots at HubSpot here. 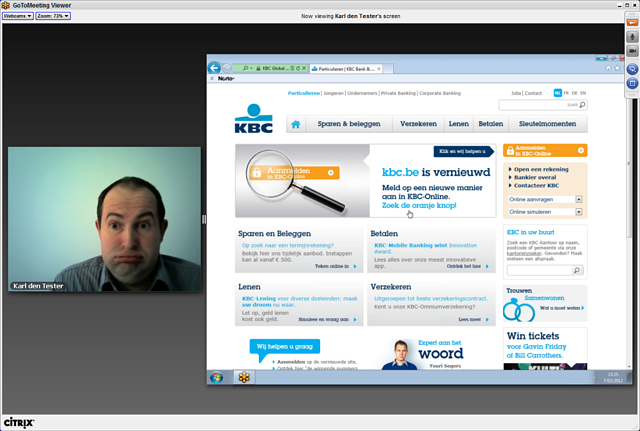 Usability is important to the customer experience. Despite this, it’s not often thought about in terms of customer satisfaction. We think about the power of our features and what you can accomplish with the product, but we forget that users have to learn how to use the platform — that it’s often not an intuitive experience. The easiest-to-use products are the most addicting. Facebook knows this, and so does every other app on which you spend too much time. They make things so frictionless that, when you receive a trigger (either internal or external) to use the app, there’s no difficulty in doing so. Companies with positive, healthy missions think a lot about this as well, because their whole goal is to create habits. Think about products like HeadSpace and Duolingo: It’s not easy to meditate or to learn a foreign language, but the ease of the app makes it easy to do so. One reason I love Amazon so much (but my wallet doesn’t) is how easy they make it to purchase. 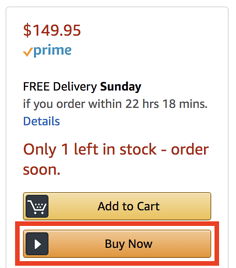 One-click purchase? I’m all in. Satisfy your customers? That’s a good start, but you should really be aiming to delight your customers. To wow your customers. At least that’s the advice that Warren Buffett gives ... so it’s probably pertinent wisdom. Here’s where things get tricky when it comes to tactical advice, though; there’s no silver bullet strategy to delighting your customers. To be remarkable, you have to, by definition, do something a little outside of the ordinary (and not simply avoiding annoying your customers). Some companies, like Zappos or Amazon, make that a core part of their operating ethos. When you truly rally your company around customer delight, you don’t need to worry about the individual tactics; those ideas will come. Whether it’s something quirky like sending hoverboards to your best customers, something remarkable like staying on a call for a Guinness Record amount of time (like Zappos), or something thoughtful like writing handwritten thank-you notes to your marketing partners, delighting your customers can bring about amazing business results. Now that we’ve covered why you should care about customer satisfaction and how to measure it (and some ways to improve it), let’s cover some actual tools and software you can use to measure and improve customer satisfaction. The first thing you need to figure out is how you’ll collect customer satisfaction data. Depending on your goals, you could collect it via customer surveys (and you could send your customer surveys multiple different ways), in-app surveys, post-service surveys, or even with customer interviews or longer form surveys. My favorite way? Right in your app or website, and right after a critical moment in the user experience. For instance, if you have a photo-sharing app, triggering a feedback survey after a user uploads their first photo could be a great inflection point. Similarly, after a user makes a purchase on an e-commerce site, you’d ideally be able to trigger a survey to get their immediate thoughts. There’s no shortage of customer survey software out there, though. Just do a quick Google search and see what I mean. It’s hard to compare all the options, which is why I recommend using something simple like Google Forms or Survey Monkey, but if you want to do some more research, here’s a good resource to learn more about customer survey software. Outside of the specific tool you use and the time you trigger the survey, you also need to consider which customer satisfaction methodology you use. There’s no shortage here, either. First, as we mentioned previously in this guide, NPS is a popular method because of its simplicity and actionability. Data is useless if you can’t use it to make better decisions, and NPS seems to have both high predictive validity and actionability. People understand what it means, so it can be put to use in an organization quite easily. Then there are other “one question” satisfaction methodologies like SUS and CSAT (Customer Satisfaction Score). CSAT is the most commonly used satisfaction method, and it’s likely the most straightforward as well. You simply ask your customer to rate their satisfaction with your business, product, or service. Your survey scale can be 1 – 3, 1 – 5, or 1 – 10. Most academics disagree on which scale is the best to use. It’s not as important to spend too long weighing which scale to use, but rather to implement something your team can agree on and sticking with it. It’s more about establishing a baseline and improving than it is to be perfectly accurate in measurement. Customer Effort Score is another popular “single question survey.” Instead of simply asking your customers how satisfied they were, you ask how easy it was to purchase or to complete an action in your product. Apparently, this score is more predictive of consumer behavior than CSAT or NPS, but again, there’s a lot of disagreement among academics on the specifics, and it’s mostly important that you choose one you can take action upon. It's usually best to keep things simple, though. People don't want to fill out long surveys, and you want to make sure you get accurate data. When you add enough complexity, you may have to consider hiring a survey design specialist. Customer satisfaction (or delight or loyalty or whatever word you use) is incredibly important to the health of your business. If your customers are unhappy, they’ll leave, and no business can survive and compete long term with a serious churn problem. This guide has defined customer satisfaction as well as given you ways to measure it. It has also given you ideas to increase customer satisfaction. But that's just a start. Now it’s on you to implement these measurement strategies and customer satisfaction programs. It’s up to you to iterate and even innovate in the area of customer satisfaction. Your business growth depends on it.